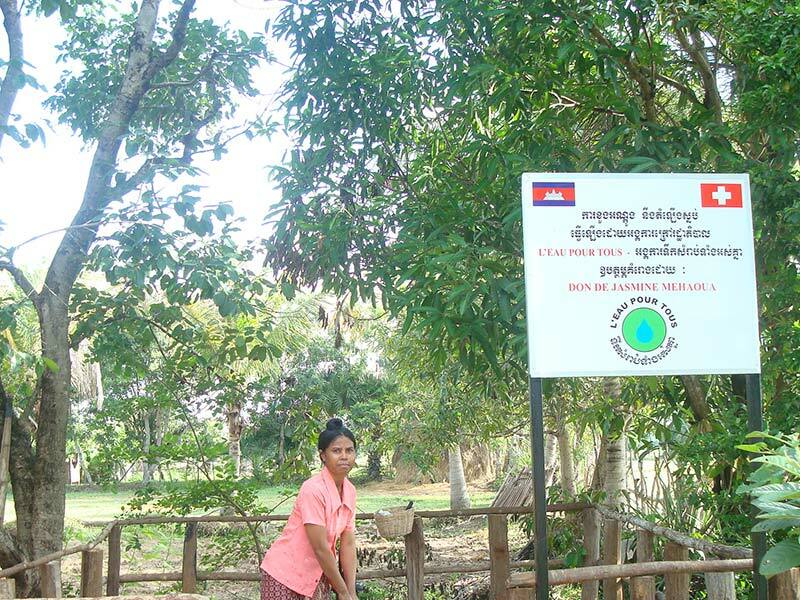 Villages endowed with a water installation project are situated in the Puok district of the province of Siem Reap, in north-western Cambodia. Our intervention affects a population of over 350,000 people, spread among 154 villages, most of which are far apart from each other, and very scattered. 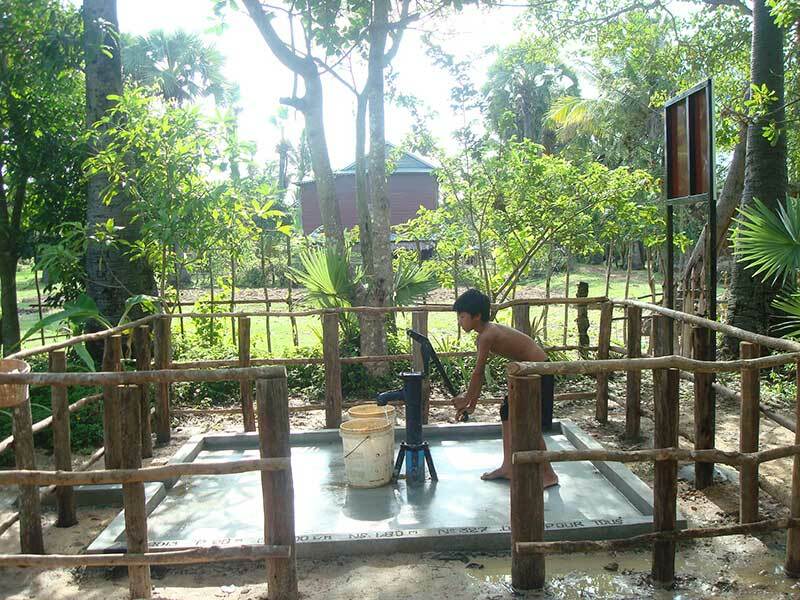 Installation of a clean-water well has an immediate impact on village sanitation. Diseases become less common, and infant mortality rates drop. Installing a clean water well also has an economic impact. Villagers who have access to clean drinking water are no longer forced to buy water at exorbitant prices from private dealers. The average household saving is about $7 (U.S.) per month, equal to about a quarter of the total average income! Health savings resulting from good water quality represent a quarter of the overall health budget. The poorest households are our primary targets. 18,000 households are already connected to a clean water source. 2000 new households a year should be hooked up. On the request of village chieftains, the Water-for-All association sets up clean water sites by deep drilling and installing manual pumps. 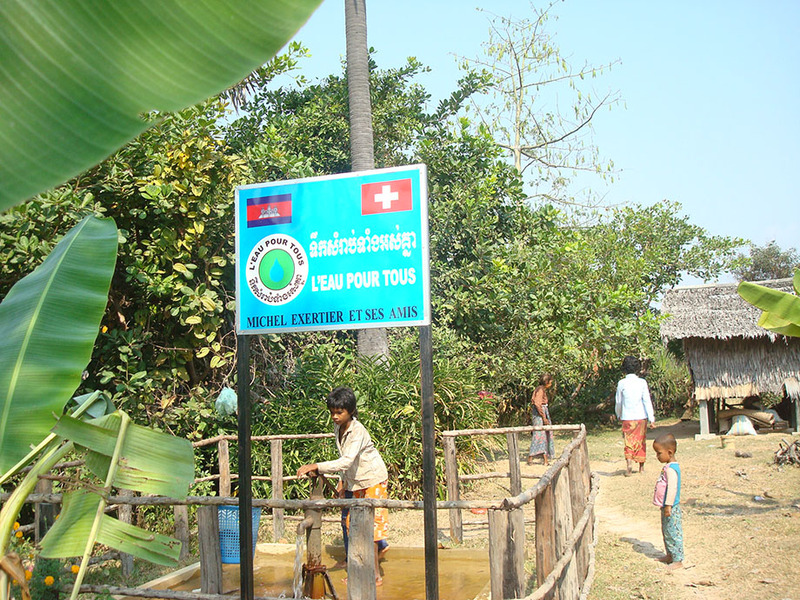 One pump can provide drinking water for about 50 inhabitants. 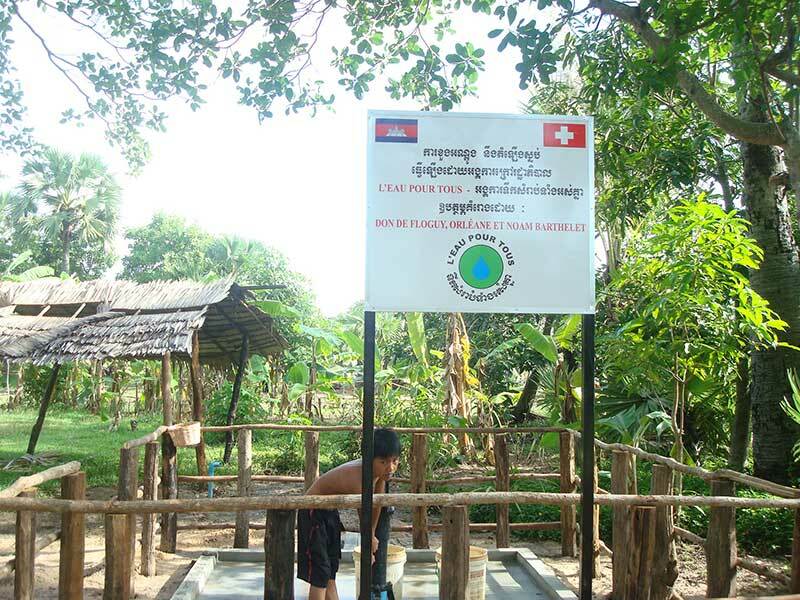 Many work sites have been completed since the creation of the association, meeting the needs for clean water of the inhabitants of the Province of Siem Reap. Depending on how deep a well is, the work (drilling and pump installation) costs between $800 and $1000. Access to water is free and available to all villagers, without discrimination. Involvement of the local population in the construction and maintenance of wells enables water production to be continued without any other financing, and ensures that installations, which belong to the villagers themselves, are long-lasting. Water quality at all our drill sites is checked regularly by the Siem Reap Water Quality Laboratory. The latest analyses are available on request. A €1200 donation can provide lasting clean water to 50 people. We need you! How to finance a pump? To create wells, Water-for-All essentially needs financing and partnerships with individuals. The average construction cost for a pump is €1200: this amount includes drilling, civil engineering, and the pump itself. You can finance a quarter (1/4), half (1/2) or a whole (100%) pump: – ¼ of a pump equals €300 – ½ a pump equals €600 – 100% of a pump equals €1200 As you can see in the pictures of our worksites, each pump has a display with the name(s) of the donor(s), thanking them for their help. Pumps that are partially financed also display the names of the donors.